In January, the Albany, N.Y.-based Capital District Transportation Authority (CDTA) officially moved into the next wave in fare collection with Genfare when it launched its smart card pre-payment system, Navigator. The move to an account-based system enables the rider to create a personal account online and reload passes, manage multiple passes and account details, set up automatic renewal programs, replace lost or stolen passes, and show usage detailing their rides and purchases. Navigator is optimized for use on any computer, tablet, and mobile device. Genfare is constantly working to help agencies meet the evolving demands of today’s riders — completely driven by user friendliness, explains President Darren Dickson. Upgrades on the Genfare Link roadmap, include the ability to provide a cloud-based, multi-tenant system with scalable and configurable infrastructure to suit the needs of any size transit agency, as well as an account-based system that allows the back-end system to determine fare rules and complete transactions based on the account information collected from the customer’s smart card. Perhaps the most important upgrade for Link, though, will be ability to be part of a fully-multimodal transportation network. Thomas Guggisberg, director, information technology, for CDTA explains the agency’s previous system didn’t offer a lot of capabilities and was often confusing for customers since the agency offered up to 15 different products. The streamlined system now offers two products — a pay-as-you-go offering and a monthly pass called “Frequent Rider” — and allows the customer to pay using cash, a smart card, or soon, a mobile ticket. The agency piloted Navigator for quite some time before launch, with Guggisberg explaining that the customer-facing web interface was one of the most challenging aspects of the project. Guggisberg says the next step for CDTA will be to introduce mobile ticketing, which it put off until it was able to have an integrated component to the smart card. “Now, when the mobile ticketing component launches, customers will be able to put money on their smart card and it will also be available on their mobile device as well,” he says. Further down the road, Guggisberg adds that next frontier is to bring real-time capabilities to the fare payment process. 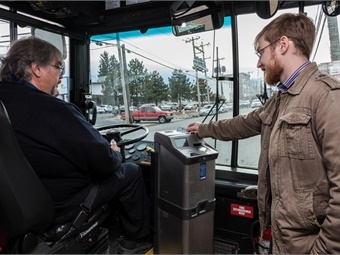 In April, the Grand Rapids, Mich.-based Interurban Transit Partnership (The Rapid) contracted with INIT, Innovations in Transportation Inc., for the implementation of an electronic fare collection system. The contract between INIT and The Rapid calls for the execution of an account-based smart card and mobile-ticketing solution that will improve The Rapid’s service offerings on its fixed-route lines. One-hundred-fifty fixed-route vehicles will be equipped with INIT’s PROXmobil3 onboard validators to support multiple forms of payment, including smart cards, and mobile tickets, with EMV credit card payments set to be added over time. The project also includes 34 platform-mounted fare validators on The Rapid’s Silver Line BRT system. One of INIT’s innovations they recently developed and are implementing on most of its recent projects are account-based systems, explains Marc Gillman, manager, customer support at INIT. One highlight of moving to an account-based system is it enables customers to always receive the most favorable fare for them through fare capping. Gillman adds that another feature of the account-based system is it streamlines operation, particularly with the interaction between the bus drivers and passengers, enabling faster boardings, which can contribute to improved on-time performance for the agency. To manage the back-end processing and clearing of revenues, The Rapid will utilize INIT’s MOBILEvario software solution. This all-inclusive clearing-house system will provide The Rapid with a powerful online fare validation server and management tool that will deliver the seamless administration of customer relations, setting of fare rules, revenue processing, and statistical evaluation reporting. 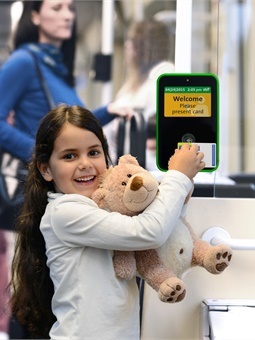 INIT has also recently moved to open API architecture, which enables the company to easily integrate with third parties, which it does at The Rapid, where their technology interfaces with Scheidt & Bachmann ticket-vending machines (TVMs) and Genfare fareboxes. In August, Cubic Transportation Systems (CTS) was awarded a $33 million contract from the Miami-Dade County Department of Transportation and Public Works (DTPW) to modernize the Cubic-supplied EASY Card revenue management system and provide 10 years of back office cloud computing and support services. The award includes the deployment of Cubic’s contactless bankcard and Near Field Communications mobile open-payment technology, as well as upgrades to fare terminals and the EASY Card back office to process account-based transactions for new and easy ways to pay. The contract supports DTPW’s mission to provide more payment options and a richer customer experience to its demographics, including regular commuters, occasional riders, tourists, and visitors to the Miami area. These technology upgrades will complement and enhance the existing EASY Card system, delivered by Cubic in 2009, for the department, which has average daily boardings of approximately 316,000 on Metrobus, Metrorail, Metromover, and its Special Transportation Service. “By working closely with Cubic, we were able to move to a cloud-based solution, which allows us to provide flexibility, get us away from the limited offerings we were able to provide our customers, and give us the ability to expand the fare payment system across the entire region,” says Rosie Perez, division director, transportation technology, IT department for DTPW. What’s down the road for Cubic? DTPW is working to roll out its upgraded fare payment system in stages, with its eye set to have it running at its full capabilities by the fall and the whole account-based and back office system in place by the end of 2017, although an end date has not yet been finalized. Karsch adds the relationship formed with Miami, and all of its customers, has allowed it to deliberately move toward a more customer-centric approach. After getting its start in the UK rail market, Masabi first entered North America in 2012 when it deployed a successful pilot of its JustRide mobile fare-payment app for Boston’s Massachusetts Bay Transportation Authority commuter rail line. 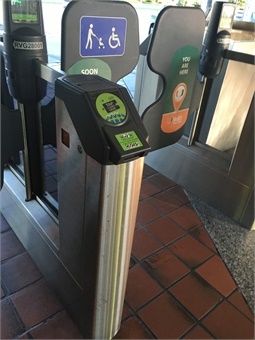 Donovan adds that he feels the software-as-a-service concept is just beginning to emerge in transit, particularly as it pertains to fare collection where systems are often bought on 10- to 15-year cycles. Masabi also recently launched the first Software Development Kit (SDK) for the transport industry, JustRide SDK, which enables the company’s strategic partners to incorporate mobile ticketing into existing apps, extending the functionality, while also adding a new revenue stream. In January, Masabi announced its new JustRide Express offering, which is designed for small- and mid-sized transit agencies and private operators. JustRide Express provides agencies with a custom-branded mobile fare-payment app, allowing customers to quickly and securely purchase and display tickets on their smartphones. The solution also includes JustRide Express Hub — a secure cloud-based back office system, providing real-time data, reporting, and analytics, as well as customer service tools. The service is available for $1,999 a month with a range of optional extras available. The Las Vegas-based Regional Transportation Commission of Southern Nevada (RTC) recently partnered with Masabi to launch its new smartphone app, rideRTC, which enables transit customers to buy fares, plan trips, and find bus stops. To assist customers with their transit trip planning, rideRTC is integrated with the industry leading TransitApp. The app enables users to locate transit routes and stops near their current location; access upcoming arrival times for bus routes; determine real-time location of buses; and plan trips that also include different forms of transportation, such as the new RTC Bike Share program in downtown Las Vegas and transportation network companies, like Uber and Lyft. RouteMatch Software’s automated fare collection system, RMPay, works for transit agencies of all sizes and can scale from small to large vehicle operations. It supports both demand-response and fixed-route operations, and also has a mobile-ticketing component for riders to use at any time or location. RMPay also allows riders and transit agencies to manage account and payment information through a secure web portal. The account-based system comes with an extensive range of payment options from cash to card and electronic funds transfer (EFT) to media types from smart card to near field communication (NFC) and Bluetooth. All are available self-service to both the agency and rider. 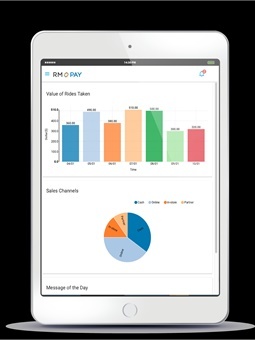 RMPay is available as a standalone system so agencies not using RouteMatch can take advantage of the product through easy integration. Since it is built on a single platform, it offers flexibility meaning agencies get unified reporting and it is easier to adopt, scale, and manage the system. Additionally, the company has recently built in rider loyalty and rewards programs all into one system. 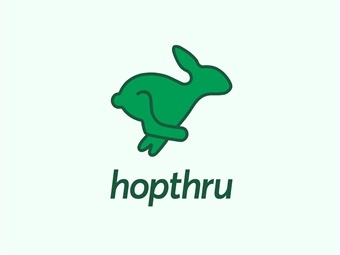 Hopthru offers a single cloud-based mobile application capable of processing fare media for multiple transit agencies. Its platform lets each agency maintain complete control over their ticket and pricing arrangements, while benefitting from a pre-built solution with an already established network of riders. With no hardware to install, no implementation costs, and a variable pricing model, Hopthru prides itself on being the most flexible mobile-ticketing solution on the market. Participating agencies have access to a suite of back-office tools, which include ticket management, ridership data, and transaction data. 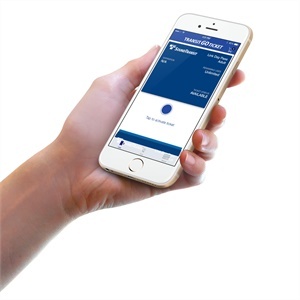 Each Bytemark mobile-ticketing app implementation is reliably based on its off-the-shelf software. The company goes beyond its base solution by delivering a customized solution that has been optimized based upon the Bytemark Mobile SDK for the specific needs of each agency. The company’s mobile ticketing platform also allows for multimodal and hybrid validation. From a user experience perspective, Bytemark has a refined ticket purchase process and intuitive user interface that makes purchasing as simple as possible.